An imperial pint from the bourbon trail, Schlafly Barrel-aged Barleywine assembles the heft of a British stout and the unmistakable flavor of a Kentucky bourbon. That’s because the beer finishes its aging process in a used, white oak Kentucky bourbon barrel. 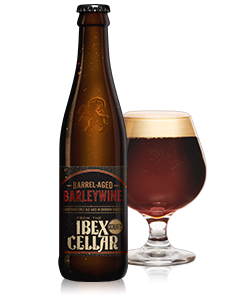 The result is an over ten percent elixir with oak, vanilla and whiskey backed by the considerable malt strength of a barleywine. Keep a stiff upper lip.